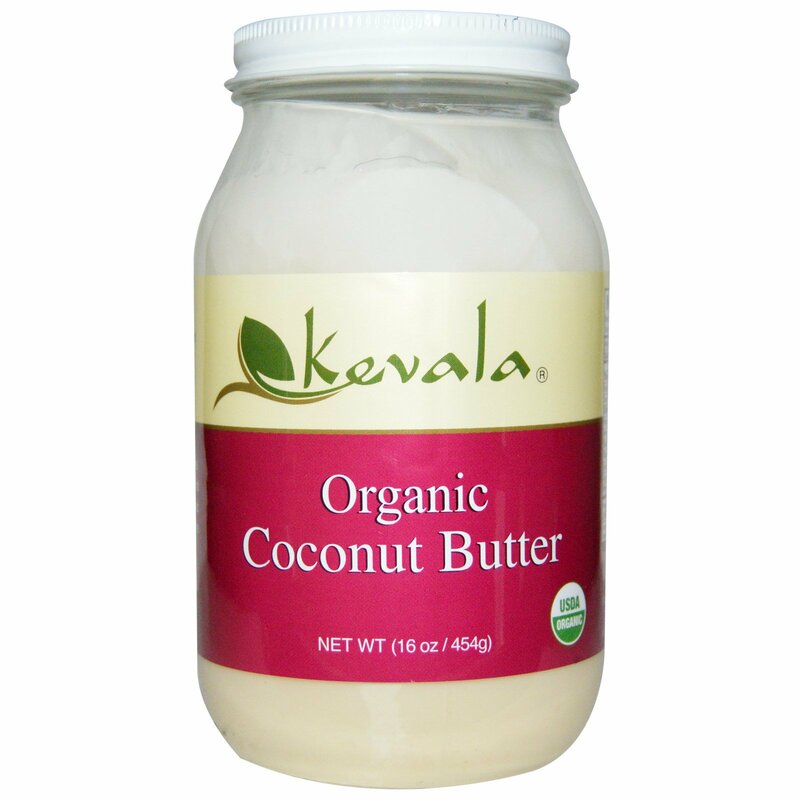 Smooth, silky, with a touch of sweetness...try out the delicious flavor of Kevala's Coconut Butter! It is made only with organic coconut flesh, has no preservatives or any other additives, ultimately offering a natural whole food. Kevala's Organic Coconut Butter is very versatile! It is amazing in sweet and savory dressings, smoothies, for baking desserts, as a butter substitute, on top of hot cereals and oatmeal, as a spread on toast, in sweet and sour soups. You can even use it to make healthier cake frostings and ice cream! Made in a facility that only processes coconut. Separation occurs naturally, warm to easily blend together. 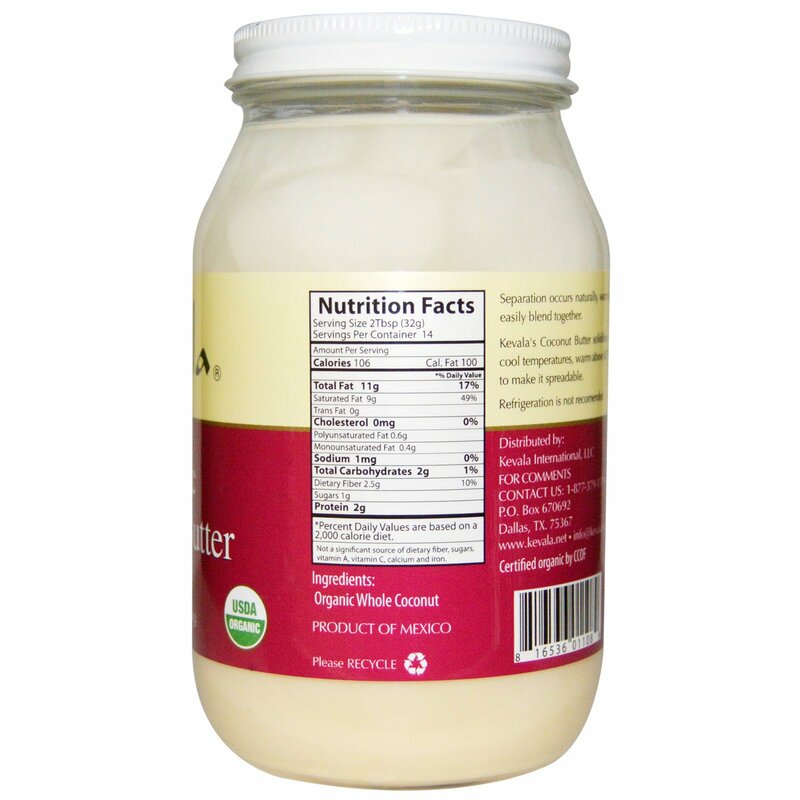 Kevala's Coconut Butter solidifies at cool temperatures, warm above 82ºF to make it spreadable.